Untouched since the main school's construction in the 1950s, Seton La Salle's science lab upgrades are the first phase of the STREAM initiative and the eventual STREAM Center. Utilizing donated and repurposed furniture and casework, the labs will become more conducive to a collaborative teaching and learning environment. 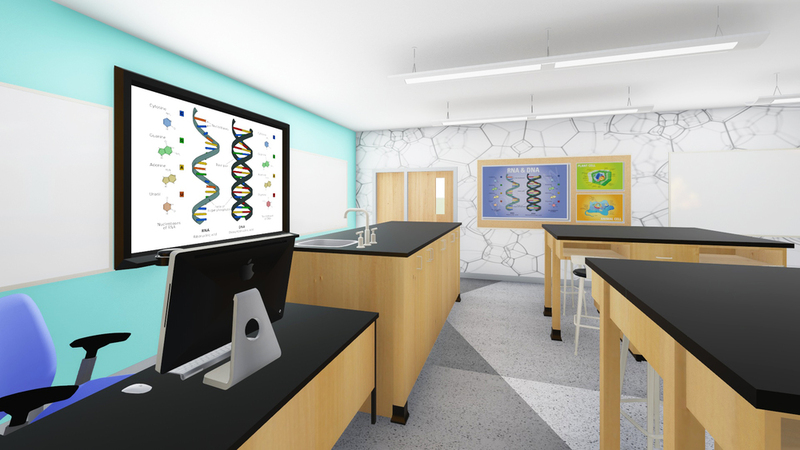 Updated flooring, lighting, and science-inspired wall coverings will further contribute towards a creative classroom setting.